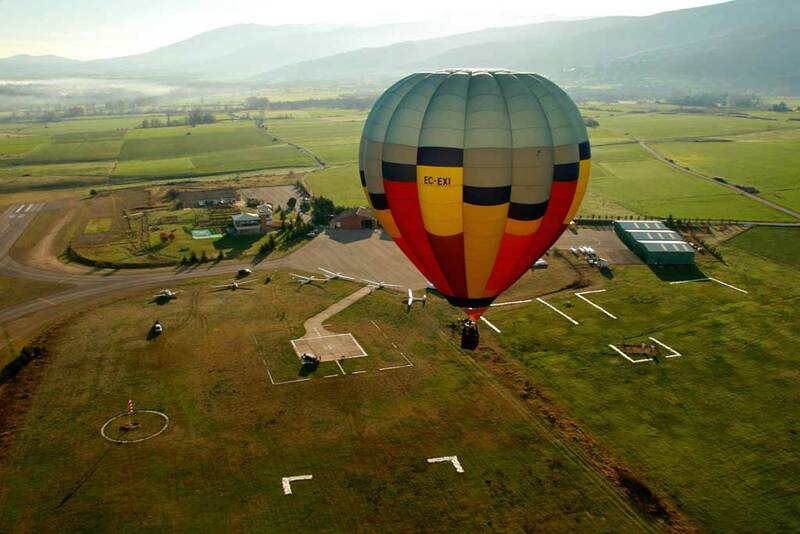 We meet at the La Cerdanya’s Aerodrome, where we have a morning wake-up call in the form of a great hot Spanish coffee whilst we get ready to assembly the balloon. The whole assembly takes approximately half an hour and it’s a good moment to start getting involved in this once in a lifetime experience, take some pictures or ask our crew any last minute questions about exactly how the balloons operate. Where are you going to land? There are many different landing sites available to us although we enjoy the fact that we don’t know it until the last minute. 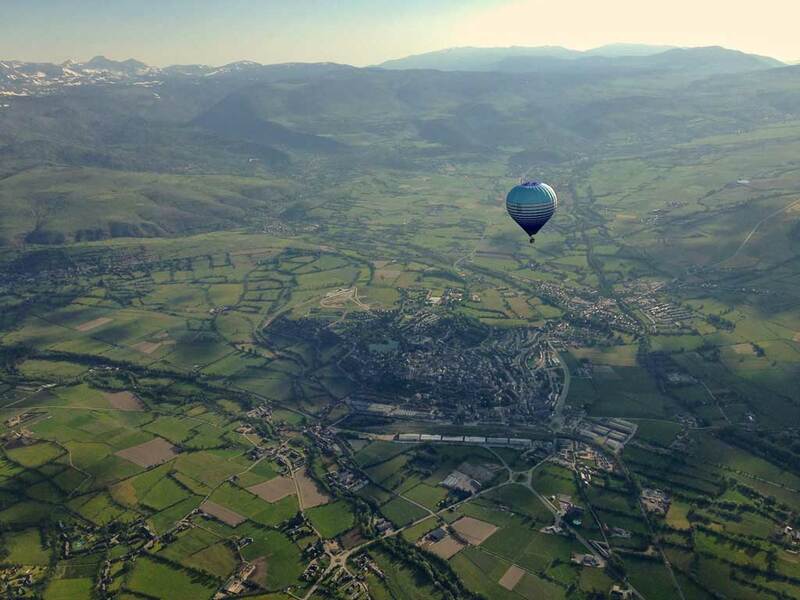 The pilot has to decide at every moment the height that he wants to fly at to find different air draughts and airflows that will carry the balloon in one direction or another. Every day is a new experience and every flight is different. We normally get up to 8,000/10,000 feet above the sea level, which in our region means 1500 meters above land level. Up there, we can see beneath our feet the most amazing views of our valley in a very peaceful and tranquil environment. After a one-hour flight, the pilot starts to look for a good place to land. The whole of the journey takes approximately between one and one and a half hours, after that, the adventure comes to and end on this occasion. Since take off, a 4X4 Jeep always has the balloon in its sights. The pilot is in constant radio contact with the Jeep in order to let them know their position and to determine what their next move will. After touchdown, we pack the balloon up and open a chilled bottle of local Cava to celebrate the adventure. At the end of the flight, we will all go together to the aerodrome’s restaurant to have a local farmers breakfast. This is a perfect time for you all to ask questions in a relaxed environment and to learn more about balloons and how they operate. Then we will exchange emails so we can all share the pictures we have taken and we will hand out a balloon flight certificate for you to remember the wonderful day you had with Globus de la Cerdanya. Price per Group: personalized quotes available upon request. Bookings can be made online, by phone, email, our using the contact form on our website. In order to make a booking you must provide a telephone number, the date(s) you wish to fly and the number of people flying.